A unique and personalised birthday present. 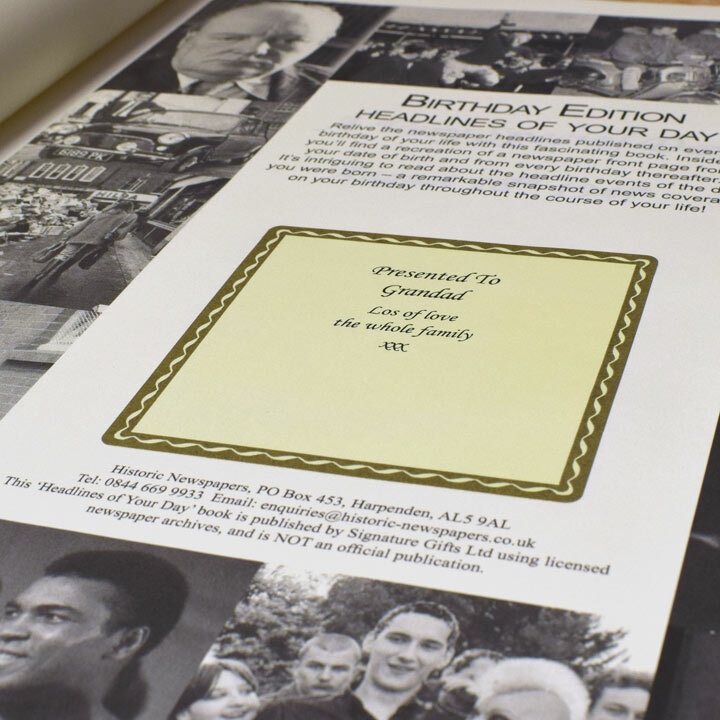 Includes a national newspaper front page for every birthday of the recipients life, starting with date of birth. Opposite each page is a blank "remember when" page on which photographs or messages from the relevant year can be pasted. 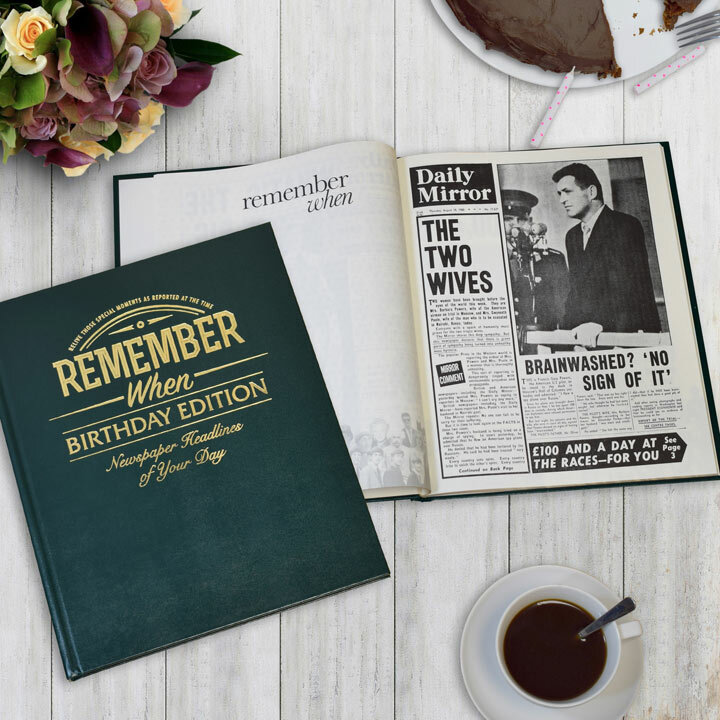 Please note, if a newspaper does not exist for a particular date, the following day's front page will be used. 31 x 38 x 12cm. Personalisation: Date of birth DD/MM/YY and name up to 22 letters. Message; max. five rows, 30 letters per row. DD. PLEASE NOTE: Items marked [DD] will arrive in a separate parcel and may take up to 21 days to reach you.